We interrupt our normal programming to bring you news of an extremely insightful interview with Kara Goucher, America’s top female distance runner. Frankly, I was delightfully surprised to find that Kara trains to a very great extent based on monitoring her inner feelings. I wondered if her coach, Alberto Salazar, might be pushing her too hard – that was, after all, his training and racing style during his own competitive years. But, no, he’s very keen on adapting the day’s training plan according to what she can do, based on his observation and her intuition. Of course, you-all heard it first right here on Roller Derby. Can’t say I’m sorry to hear yet another successful elite runner confirm what I’ve found to be true at the anti-elite, utterly pedestrian level. By the way, Running Times just posted on its website Lorraine Moller’s wonderful article on Arthur Lydiard’s training methods. 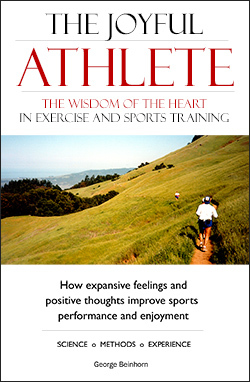 It’s by far the best quick summary of Lydiard I’ve ever read – and, guess what, Moller includes a section describing how Lydiard believed a runner should adjust his/her training by inner feeling. All right!